While summer may have meant hours spent outdoors, rainy autumn days inside can still be made fun with arts and craft projects to enjoy with your kids. Arts and crafts are great for learners of all ages from toddlers sticking, glueing and painting (not just the paper!) 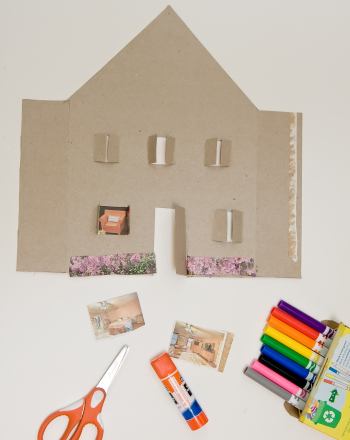 to older children who will relish the time spent creating a jewellery box or paper truck. Here are a few of our favourites. If you’re in need of inspiration, visit your local toy shop and find a box of goodies to get creative with. This works well if you’ve got children of different ages so they can all do their ‘own project’. Maybe it’s making thank you cards for a recent birthday or even producing some Christmas cards ready for December? We love this Giant Box of Craft which is great value at just £5 or find something similar to get you started. All children love an easel. Invest in one which also doubles up as a chalkboard and a magnetic whiteboard they’ll have hours of fun. 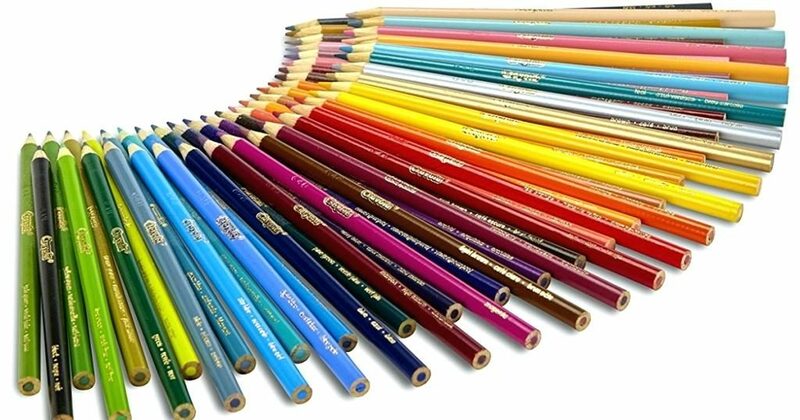 Don’t forget to buy lots of paper and paint for your little budding artists. 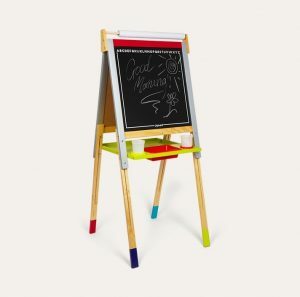 We love this Height Adjustable Easel from traditional toy maker Janod. We love the idea of recycling old glass jars and making a cool ornament to decorate your kitchen or kids bedrooms. 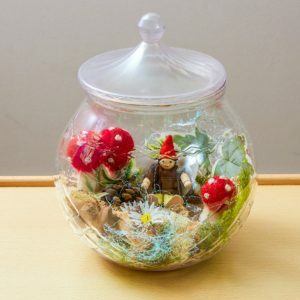 Simply take a jar and turn it into your own little fantasy or dream world. Add in the sand, salt, pebbles, glitter or even moss in the base and decorate with small figures, animals, feathers or anything which takes your fancy. 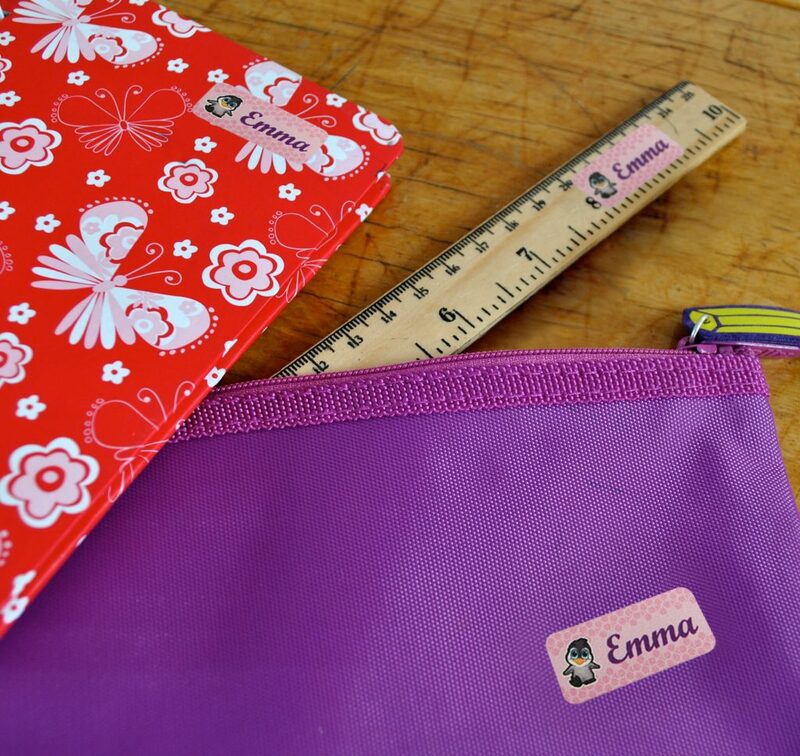 A good bag is a must whether your little one is heading off to nursery or primary school. 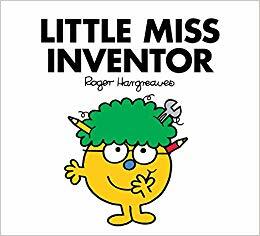 Your child’s school may have their own book bag but if not choose something bright and colourful to help your child recognise which one is theirs. 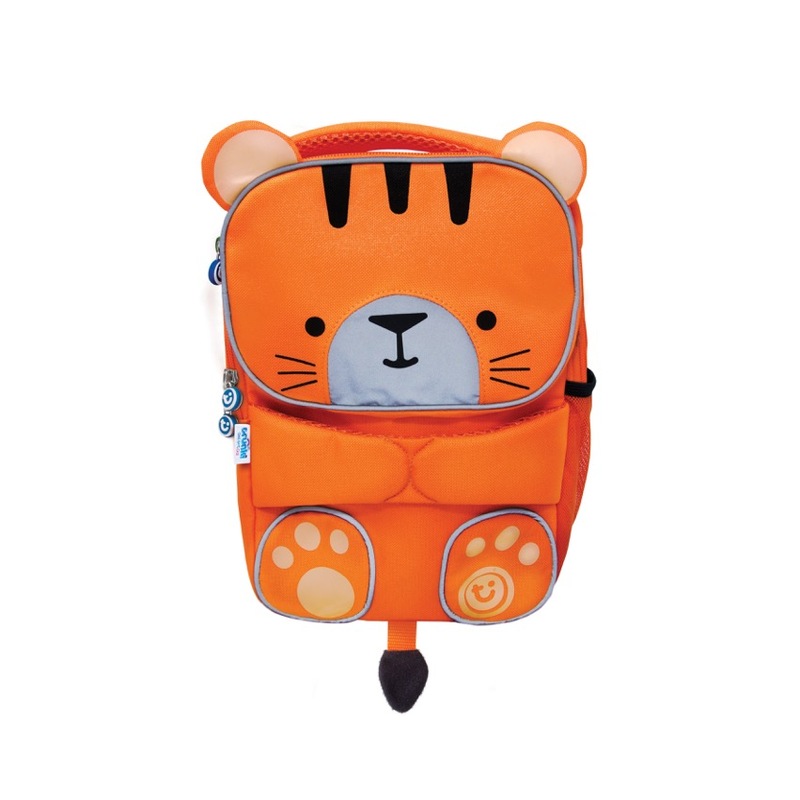 These Toddlepak Backpacks are perfect for little ones. Older kids will need a rucksack too; just make sure it’s big and strong enough to carry all those books. And don’t forget to label it up with nametags! Whether it’s warm or cold, it’s really important that your little ones stay hydrated. This will help them with both their memory and concentration. Invest in a re-usable water bottle and you’ll help save on plastic. Don’t forget to label it too! 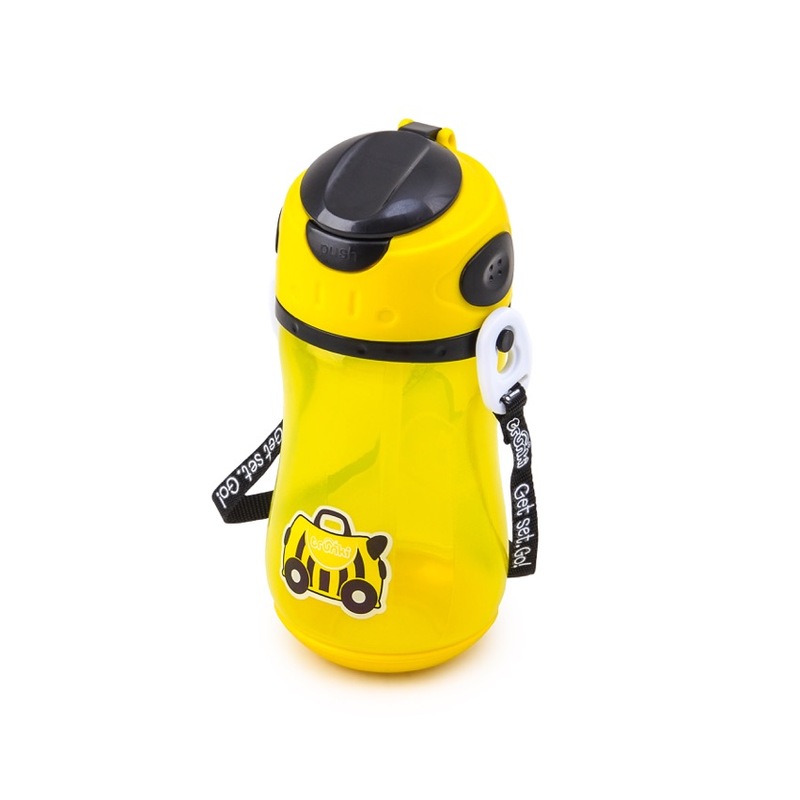 We love these Drinks Bottles from Trunki. Win the Ultimate Back to School Pack from Trunki! We’ve teamed up once again with our friends at Trunki to put together the ultimate Back to School pack! One lucky winner shall receive a Trunki Toddlepak Backpack and a complete set from their Eat Range. This includes a Drinks Bottle, Snack Pots set and Lunchbag Backpack. You can explore their full range here. To be in with a chance of winning this fantastic prize, simply send an email titled ‘My Nametags Trunki Competition’ to marketing@mynametags.com – full T&Cs below. Competition closes at midnight on 19/09/2018. We are delighted to announce that we have teamed up with Allergy UK to celebrate the launch of our new range of allergy labels. 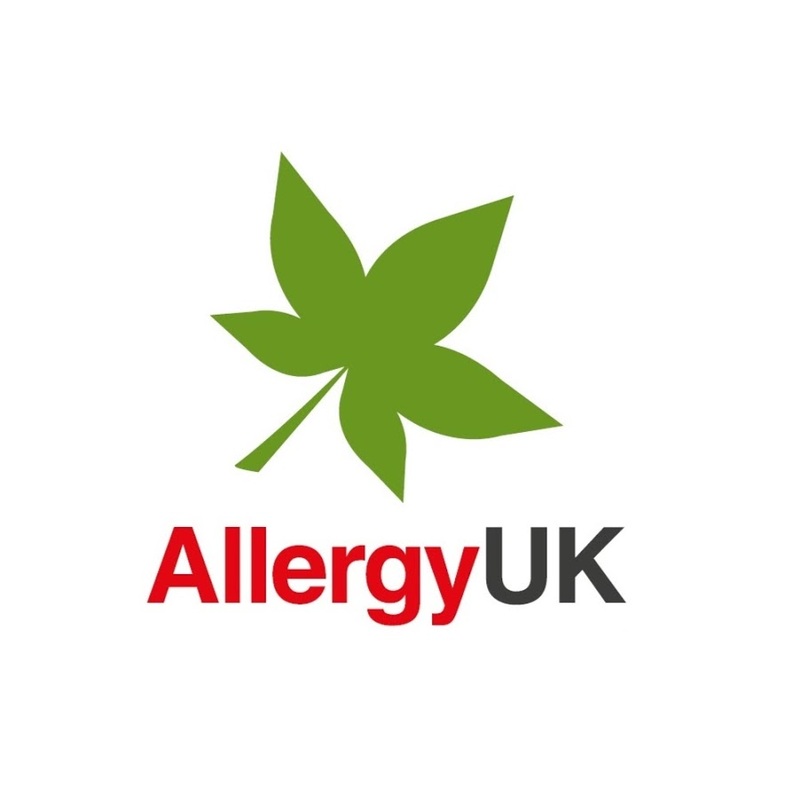 Allergy UK is the leading national patient charity for people who live with allergic disease. Their mission is to improve the lives of people living with allergic disease, providing a wide range of information, including free Factsheets, on all kinds of allergy. They have a Helpline for advice and support and work with Healthcare professionals to improve education and awareness around allergic disease. 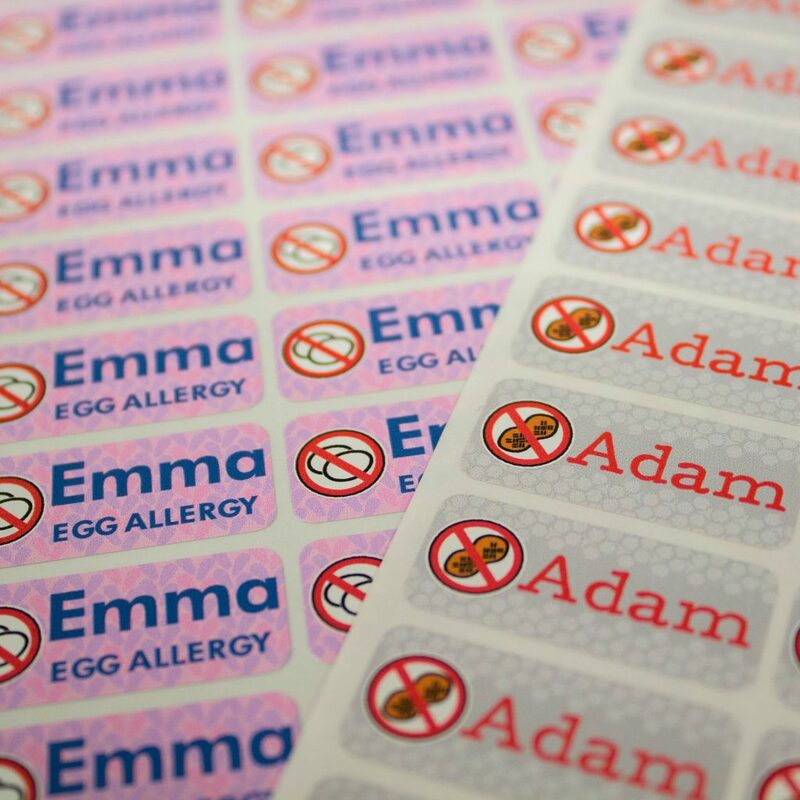 Our range of allergy label designs can be customised with your child’s name and applied to bags, lunch boxes, water bottles, milk bottles or anywhere else you feel they may be effective. Find out more about the designs and allergens below. You can design your set of allergy labels here. Just scroll to the end of the design carousel to find them. Back to School can be a stressful time of year for parents. The list of chores to complete before September, from buying school uniform, to getting children back into a routine, is enough to fill anyone with dread. It was reported last September that 80 percent of parents had serious anxiety about getting their children ready for the new school year. At My Nametags we don’t believe it should be this way. So, we have drawn on the expertise of the 220,000 mums on our database, and found thirteen different hacks to save parents time, money and stress when it comes to preparing children for the new school year. When it comes to shopping for those back to school supplies, avoid hitting the High Street between midday and 2pm as these are the busiest shopping hours, according to iZettle. Many stores also offer Sunday ‘browsing time’ and open the doors half an hour before the tills. This gives you a valuable quiet shopping period to try on uniform and gather the things on your list, so you are ready to pay when the tills open and avoid queues. Did you know that jasmine is as good as Valium at calming nerves? The first day of school can be a day of nerves and excitement for both parents and children. A quick spritz of a floral fragrance or jasmine essential oil on your child’s shirt can calm all nerves and set the day up right. Avoid those stressful mornings by having packed lunches, school bags, forms and anything else your children need packed the night before. This will make mornings so much easier as there’s less to do, and therefore less to go wrong. If you have more than one child, then you probably know it can be a nightmare trying to keep everyone’s uniforms together and spend countless hours trying to find missing shirts or socks. By investing in a net washing bags, which only cost a few pounds, you can keep each child’s uniforms separate which will save you time trying to piece it back together after the wash.
Stains on uniforms can be a nightmare to get out, whether its pen marks on white shirts or green knees from playing on the school field, stains will rapidly age a new piece of uniform. To keep uniform looking pristine, spray them with fabric protector before they’re first worn or, if its already too late, use household ingredients to tackle those tough stains. Hairspray works wonders on biro and Coca Cola is amazing at removing grease and dirt. New pieces of uniform always need a name tag to prevent them from being lost. Our research shows that children lose up to seven items per month, which can lead to high costs for parents having to replace them. Whilst sewing on name tags can prevent this, it’s also very time-consuming, which is why we produce stick-on and iron-on name tags. These can be applied to anything in minutes, saving parents both time and money. Most lunches can be frozen. Things like fruit, vegetables, and sandwich fillings, such as cheese and ham, will keep in the freezer for up to six months. To save time, make packed lunches in batches and store them in the freezer. Take them out in the morning and the frozen sandwich will act as a cooler for the rest of the lunch as it thaws throughout the morning until it’s ready to be eaten at lunch time. Make a list for the door with each day of the week and what is needed for that day, e.g. ‘Monday – PE Kits’, ‘Tuesday – Violin’. This will act as a handy reminder for what you need to take in that day, so your child will never have to borrow from lost property again. New leather shoes can take a few weeks to properly break in which can lead to some painful blisters during the first weeks of the new school year. Prevent this by putting the new shoes on your child’s feet with a chunky pair of socks and blow dry them for 20 to 30 seconds. Get them to walk around the room whilst they’re warm and the material will loosen, preventing those painful blisters. Most schools are realistic about the cost of new school uniforms and the school logo isn’t required on every piece of uniform. Buy multipacks of shirts and t-shirts and have one for every day of the week to prevent the need for mid-week laundry. Also, don’t buy every piece of PE kit straight away, often you only need certain items for specific sports which your child might not want to participate in. Boxes by the front door can save you hours of searching round the house for PE kits, lunch boxes, and shoes. 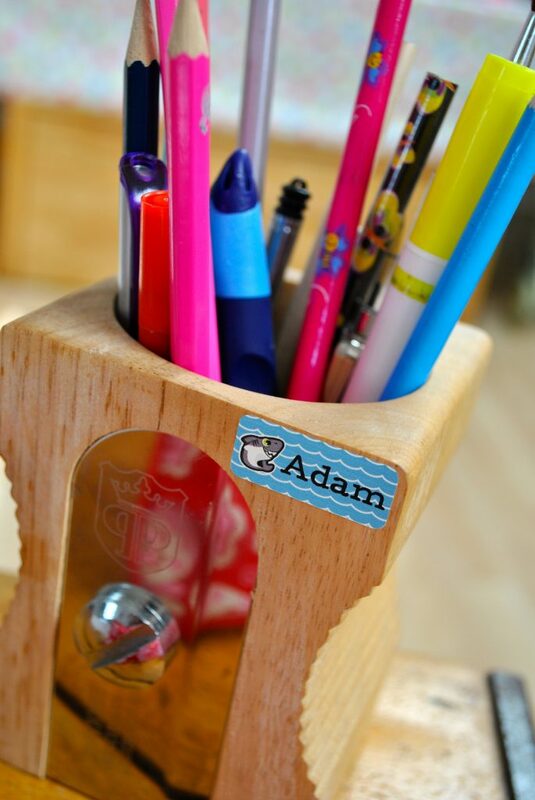 Give your children a designated place to dump their stuff when they get home from school, so you know where it is when you come to need something. Write a list of everything your child needs to do before you leave the house in the morning and laminate it. Let them tick off each task with a whiteboard marker once they’ve completed it. This gives them some responsibility whilst giving you a bit of a break. WhatsApp parents’ groups can be a lifesaver to remember things that otherwise would’ve completely slipped your mind. Communicating with other parents can be the quickest way to make sure your child doesn’t forget non-school uniform day or their money for the charity cake sale. What Does It Mean To Be An Accomplished Woman? 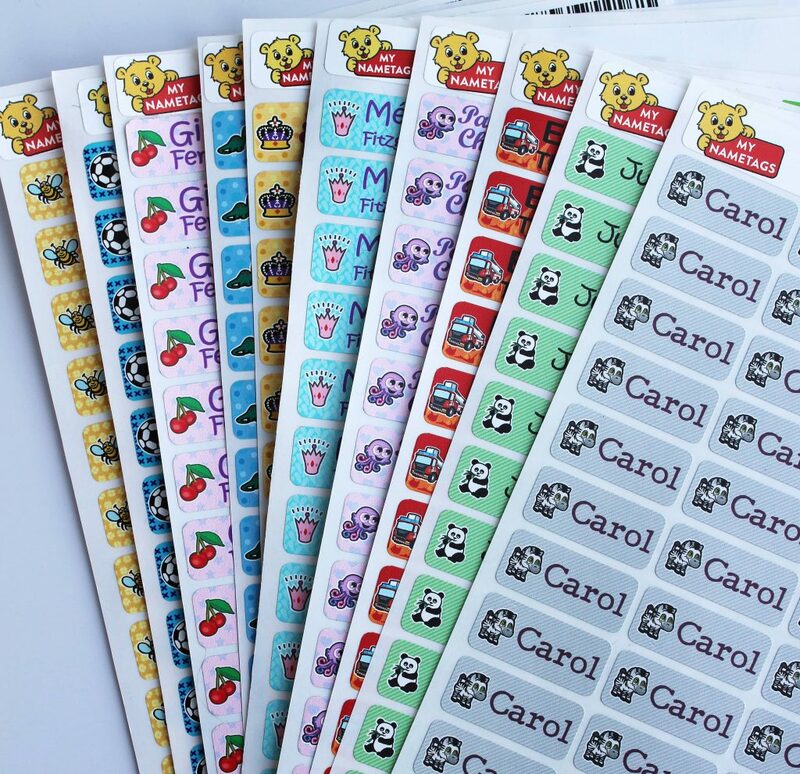 Over the last few years, we have seen a real surge in the number of mums and dads buying stick on name labels for their children, choosing this fast and convenient way to make sure school uniform and equipment doesn’t get lost, in favour of the traditional sew on name tags. We believe parents should have the choice, but this development certainly got us thinking about a notion made famous by Jane Austen – ‘an accomplished woman’. We were interested to find out what traits accomplished women have today, in comparison to previous generations. We asked 2,500 women to let us know what they believe makes for an accomplished woman in today’s society, after all, things have moved on quite significantly since the Jane Austen era. This is something that 86 percent of women agree with, according to our research. The results show that priorities have changed dramatically over time. It seems that women today are not as interested in learning traditional skills, like sewing or knitting. Over 28 percent said they did not have time to learn skills such as knitting, sewing in name tags, baking fairy cakes or handwashing, while nearly a third said they tend to offload practical or household tasks to their mum or grandmother. Gardening and making beds the old-fashioned way without fitted sheets emerged as skills modern women feel are failing by the wayside. Perhaps unsurprisingly, things like gutting a fish, plucking a pheasant and polishing silverware are also becoming skills of the past as modern mums add other strings to their bows. Over 60 percent of the women we asked said they felt accomplished, something they owed to a range of new and important skillsets. These included being well-travelled (27 percent), having financial independence (53 percent), being well read (32 percent) and giving sound advice (27 percent). Three in ten said being tech savvy was an accomplishment for the modern age, while 27 percent said being able to negotiate a deal was important and 28 percent said being a good cook was a skill worth having. Earning a high salary was what determined an accomplished woman in 2018, according to 40 percent of the women we asked. The research also asked mothers to give details about the things they do with their own children that their own mother didn’t do with them when they were children. Being more clued up on popular culture (40 percent), watching funny videos on YouTube (40 percent) and being more open and honest about finances (40 percent), were among the top answers.